Baby Throwing Up Voluntarily - Why? Why does my 5-month-old keep making himself throw up. He sticks his fingers in his mouth til he throws up. He does this with breastmilk and formula, before and after feeding, all time of the day. What an interesting problem! However, babies at this age are experimenting and your baby has discovered he has control over something, which is pretty clever for his age! I would suggest you try not to make a big deal out of it, he is probably getting a lot of attention when he does this, so you are reinforcing it. Instead play lots of games with him and give him lots of attention when he isn’t doing it. It is usually easy to distract a young baby with excited noises and games and toys. He will learn that it is much more interesting to play peek-a-boo with you, or banging on a pot with a spoon, or clapping hands. If you can head him off by distraction rather than drawing attention to his putting his fingers in his mouth then he will switch focus. Babies at this age naturally put everything in their mouth, so it is a normal thing to do, however you little boy is very bright in that he has learnt to take this a step further and gets lots of energy and fuss happening when he does it. He is at the age of needing a lot of stimulation and interesting things to play with and needs lots of interaction with you. Far better to be putting energy and attention into play and learning activities that are more productive. The only other thing to check is if he could possibly have a sore throat or mouth that could be the reason for his behaviour. 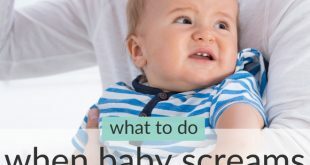 Teething, throat infection or even oral thrush could be painful or ichy and make him feel better when sticking his fingers into his mouth and throat. Oct 06, 2013 Our baby did the same thing! Our baby did the exact same thing and I can tell you Annie is right; trying make him stop by pulling out his fingers didn’t help one bit. What helped was distraction. I had a toy that I gave him only after feeding; a nice one that he loved chewing on and after a while I guess he forgot about the fingers. But it took me quite a long time to figure out this solution! I spent a lot if time saying “no” to my baby and pulling out his fingers. No point at all! So get him a feeding toy. Baby Help Line: Sounds like a stomach bug!